Johnson Matthey or in short, JM Bar is among the best known names in the silver bullion market. These 1 oz silver bars are 99.9% pure silver, carry a unique serial number, and come with a very handsome JM engraving. The front of each bar contains the inscription "JOHNSON MATTHEY, ASSSAYER AND REFINERS, FINE SILVER 999, 1 TROY OUNCE," and the unique serial number. Made in USA. 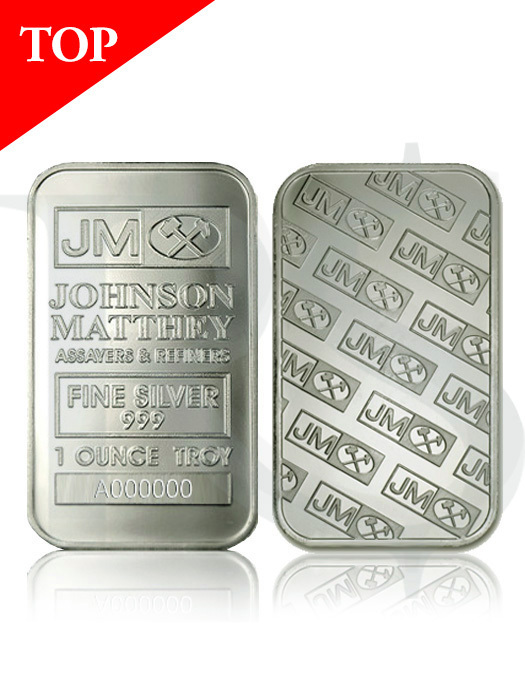 Also available in Johnson Matthey 1 oz Silver Bar at volume price.